Malaysiakini : Sarawak PKR chairperson, Baru Bian, has suggested that it is better for James Masing to be silent if he has nothing nice to say“Why make disparaging remarks about the Hope Fund? “He should know that it was born out of a citizens’ initiative, and that the current finance minister had set up the bank account in response to the people’s wish to help the country pay off our RM1 trillion debt,” Baru Bian told Malaysiakini in a statement today. Baru Bian, who is also Ba’kelalan assemblyperson and MP for Selangau, said this in response to deputy chief minister James Masing’s WhatsApp statement to the media yesterday. 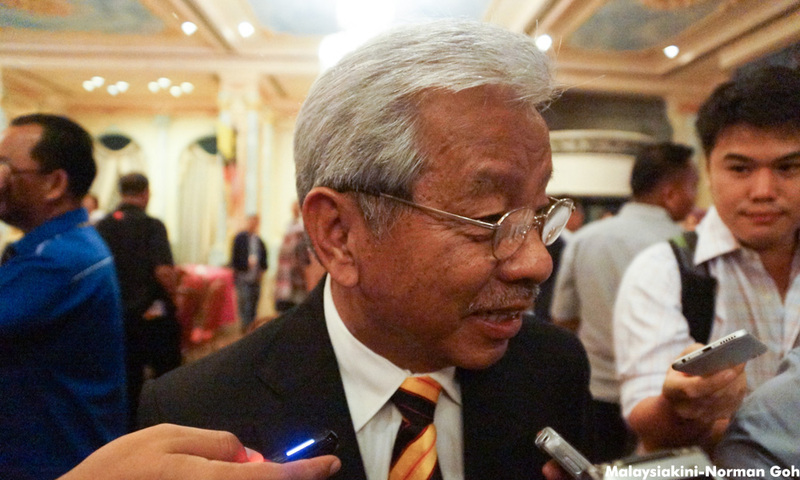 Masing in his statement had described the Hope Fund set up by the finance ministry as a political gimmick and a copycat initiative mimicking what Korea and Japan did during the 1997 Asian financial crisis. He questioned whether Malaysians had the sincerity and loyalty to their nation to do what the Koreans and Japanese did in the past. In his scathing remarks, Baru Bian said: “Nowhere was it claimed that the government was trying to mimic Korea and Japan. It was only brought up by some commentators after the fund was set up that Korea had the same initiative in the late nineties after the Asian financial crisis. “The difference is that ours is a citizens’ initiative unlike the Korean experience, which was a campaign launched by the government. “The special officer to the finance ministry, Ong Kian Ming, had explained that the bank account was set up to prevent fraud and fundraising scams by unscrupulous people. “Everyone knows that fraudsters are ever ready to prey on people and the finance ministry did the correct and responsible thing in setting up the Hope Fund account. “The fact that a fraudulent account has been set up should point to the wisdom in the move by the finance minister. Baru Bian pointed out that the Hope Fund is also a way for citizens to show their love and patriotism towards the country. He said: “The sense of solidarity and achievement post-GE14 felt by the public is so palpable. “People want to contribute towards the healing of the nation as they now have hope for a better Malaysia, and many feel that they have a vested interest in seeing the government succeed in rebuilding Malaysia. “Even schoolchildren have joined in by washing cars to collect money for the fund.” He said Korea and Japan were successful in paying off their debt. Whether Hope Fund manages to pay off the RM1 trillion debt is immaterial – it is the sincere sacrifices and effort of Malaysians that count. “James Masing’s unkind comments belittle the efforts of the ordinary Malaysians. It was the BN government under Najib Abdul Razak, of which James Masing’s PRS is a part, which got the country into this mess,” he added.